A special relationship suffers irreparable damage on the season finale o Sleepy Hollow. "Tempus Fugit" is the 18th episode of the show's second season. 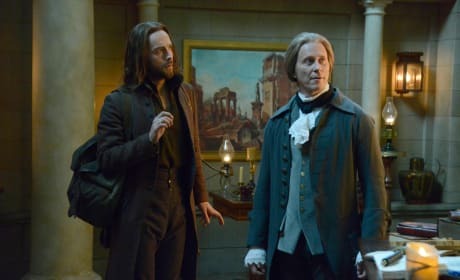 Ichabod and Thomas Jefferson (guest star Steven Weber) come face to face in "What Lies Beneath." 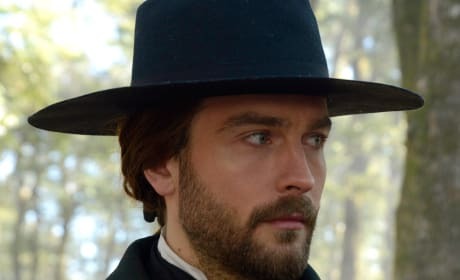 Ichabod and Abbie track down warlock Solomon Kent who has stolen a dangerous book called the Grand Grimoire. 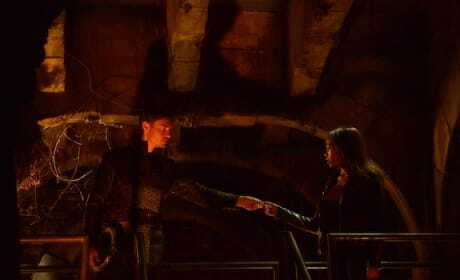 Carmilla (guest star Jaime Murray) threatens Abbie's life in Sleepy Hollow Season 2 Episode 14 titled "Kali Yuga." 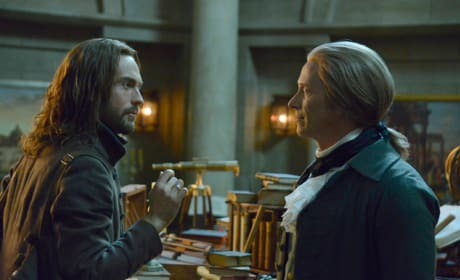 Ichabod encounters Thomas Jefferson on Sleepy Hollow. 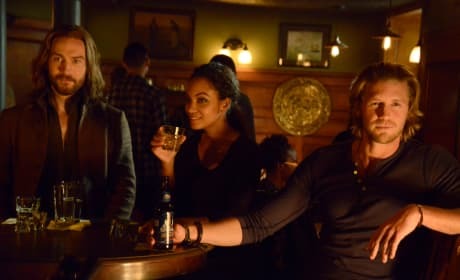 "What Lies Beneath" is the 16th episode of the show's second season. 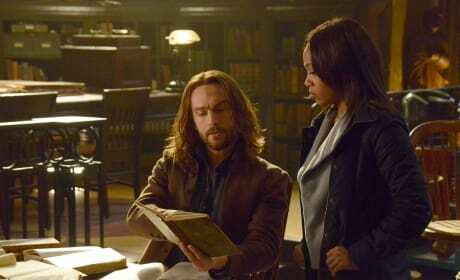 Ichabod and Abbie search for a dangerous spell book on Sleepy Hollow. "Spellcaster" is the 15th episode of the show's second season. Ichabod and Katrina share a moment at the Historical Society Banquet in Sleepy Hollow Season 2 Episode 13. Ichabod, Jenny, and Abbie help Nick Hawley on Sleepy Hollow. "Kali Yuga" is the 14th episode of the show's second season. Michelle Trachtenburg guest stars as Abigail Adams on Sleepy Hollow. "Pittura Infamante" is the 13th episode of the show's second season. Here is a much better shot of Orion. We haven't met angels on the series yet, is he truly an ally? 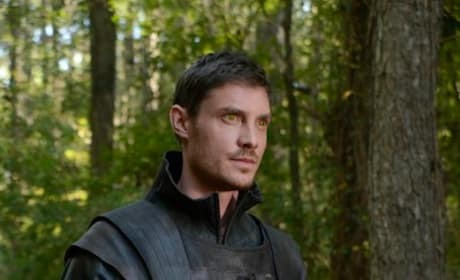 Max Brown plays the angel, Orion, a powerful and mysterious new ally. He is said to possess a game changing weapon.